I have been so excited to share with you all my trip that I took over Easter to Chiang Mai, Thailand! I spent five glorious days exploring the vibrant city, and as a solo traveller to butte! This first post is just a general overview of the city and surrounding areas with a few must do’s. Stay tuned for more in-depth posts and videos of my actual adventures! It was actually a big moment for me as a travel blogger because not only was it my first trip as a solo traveller but, way, way back when I first discovered that travel vlogging was even a thing, it was of a Chiang Mai travel video. Needless to say I have been wanting to make it there for years. Chiang Mai is known as the northern capital of Thailand and is the second largest city after Bangkok. 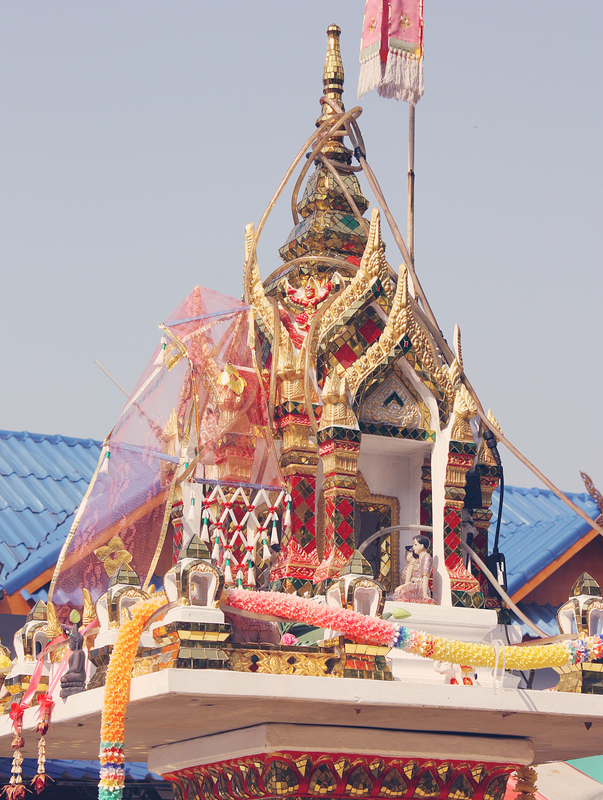 It is a neighbor of fellow city Chiang Rai, which is an easy day trip away. The Old City is the hub of the city and is surrounded by a moat and a wall. The old city has it all and is a great place to be located if you’re interested in markets and wats. Chiang Mai trades its beaches for mountains which is a huge draw for hikers and backpackers alike. The city is a mecca for travel writers and round-the-world travelers due to its affordable lifestyle and plethora of activities. Really, it has everything: shopping, rafting, climbing, elephants, bungee, trekking and so much more. 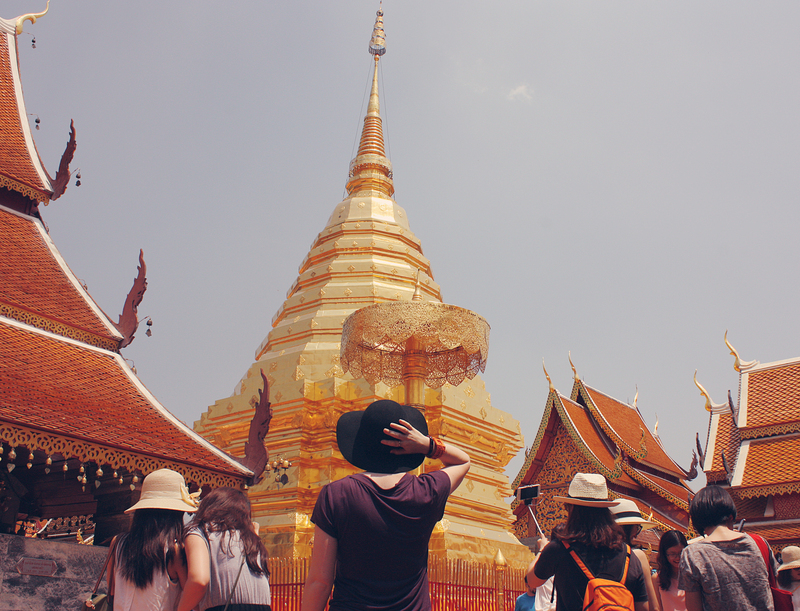 Chiang Mai is perfect for an extended stay or a jam packed few days, which is the category I fell into this time. When I first arrived I exchanged my money very easily at the airport (I honestly roll my eyes at people who refuse to use airport currency exchanges. We’re talking such a small difference, people, and at least it’s done right off the bat; but to each their own.) I got a cab set up easily as well. It was 160 Baht ($5USD) to get me to my hostel. That is quite a lot considering the 20 baht you can use with a songthaew, but yet again, as a nervous solo traveller I just wanted to get my ducks in a row and arrive safely. My hostel was called Baan Klang Vieng and I could not recommend it more! I booked it before arrival on hostelworld.com and everything went better than butter. It was in a wonderful location in the old city, only a few blocks from the Sunday Night Market (more on that later) and tons of restaurants and massage places. Although it was considered a hostel it was much more of a hotel. I had a private room and bathroom and there wasn’t much of a common area. If you are looking to meet a bunch of people to party with then maybe look elsewhere but if you are wanting some peace and quiet like me, then it was perfect. The room came with a mini fridge, towels, a TV, AC unit and was incredibly clean! Watch my tour below for more information on the room itself. The woman who runs the hostel was the very best thing about it, however. She was so kind and welcoming and set up literally all of my tours. She also has good relationships with the tour operators and was able to score me some good deals. She spoke pretty good English and was always around if I needed her. She made it seem like I was her only guest although I’m sure she treated everyone as such. Every morning she waited for my ride to arrive and came to get me if I wasn’t waiting outside already. I also had a very, very early flight out and needed a taxi to arrive at 4:45am, which is quite difficult to procure. She sat with me for about 20 minutes calling places to set up a ride for me. She was such a blessing and made my stay so smooth. Once I was settled in went on to explore the city by foot. If walking isn’t your thing then you can jump in a songthaew, a pick up truck with benches in the back. You simply hail one down and if it’s heading in the general direction you are then you pay 20 baht and that’s that. Or you might opt for a Tuk Tuk, which is basically a three wheeled golf cart. 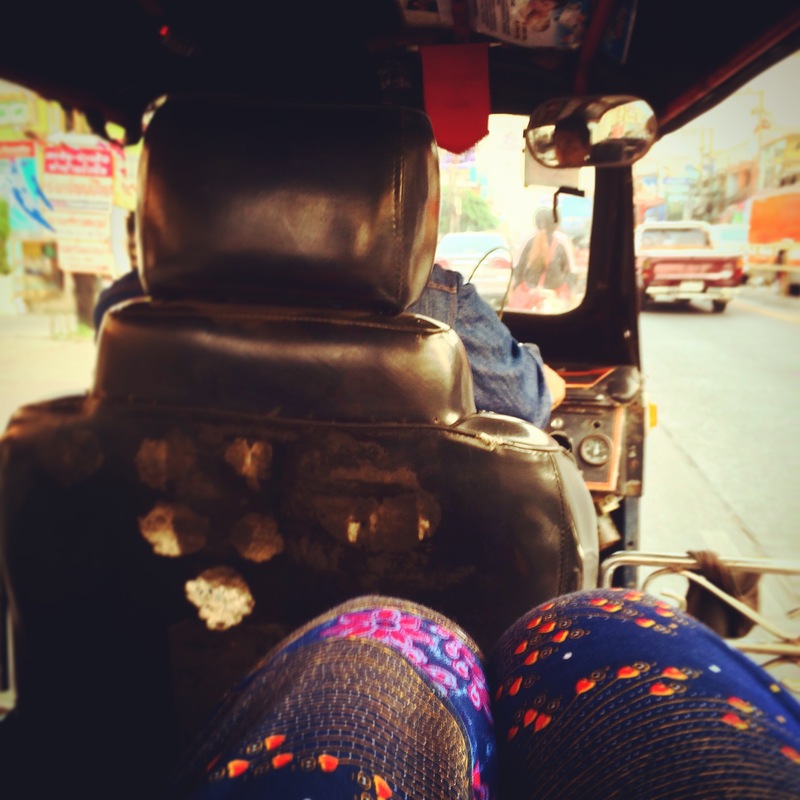 Tuk Tuk’s are my new favorite mode of transportation. They aren’t quite as cheap as a songthaew but are still super inexpensive compared to a taxi. These guys will take you wherever you want to go and will wait until you’ve finished. Just negotiate the price before hand or they might scam you. Also, since the vehicle is open, hold onto your bags. Chiang Mai is a pretty safe place but thieves have been known to grab a person’s loose bag while their tuk tuk was stopped at a red light. I love walking, however, and with my new map in hand (with markings from the hostel woman’s recommendations) I headed out on my own. First stop was a massage. I had never gotten a massage before in my life and love that now I can say that my first ever was in Thailand. I got a 1 hour foot massage for less than $8USA which was actually a more expensive option. Chiang Mai is such a budgeter’s paradise, but I had been saving for this trip so I could indulge a bit. Bonus, he was a cutie. I also had to get some of that delicious Thai food into my belly. 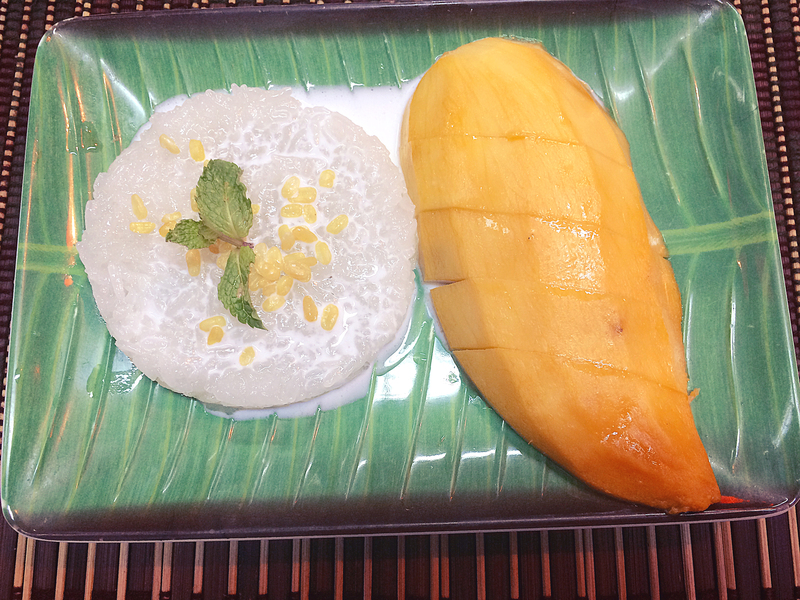 Northern Thailand is known for a dish called Koh Soi and also Mango & Sticky Rice. I obviously got both. Duh. 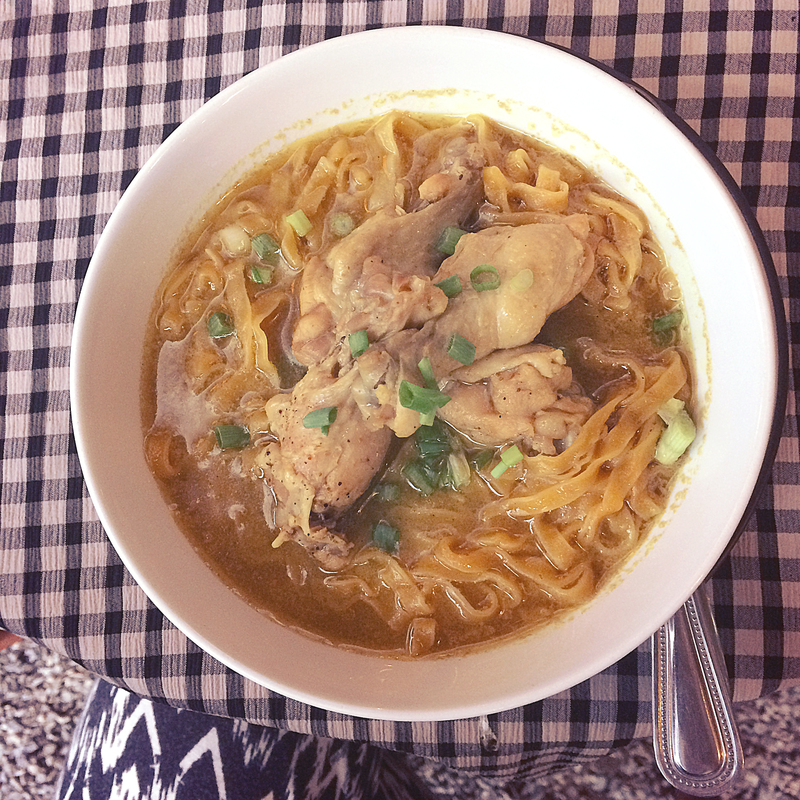 Koh Soi is a noodle and chicken soup in a curried broth. Yum. One thing you’ll notice are lots and lots and lots and lots of these fancy “mini temple” looking things outside of almost every building. These are known as “Spirit Houses” and they are part of the Buddhist religion which comprises most of the Thai population. They believe that when a new building is being constructed that it will disturb spirits currently residing there. In order to not anger them, they have these small wats erected as a new dwelling for the spirits. They are intricate and beautiful and absolutely everywhere. Speaking of Wats, or temples, they are literally every few blocks and each more beautiful than the last. Seriously, if you love gorgeous architecture or touring temples, then Thailand should be next on your list. In the coming posts I will share with you some of the gorgeous wats I saw during my time here. The last thing I must recommend is the Sunday Night Market. This is a must do and make sure you save time in your schedule. It takes place on the main road in the Old City and is absolutely enormous. It gets started around 4-5pm and goes until about midnight. It is a shoppers paradise and be fully prepared to spend way more than you plan buying souvenirs for your great uncle’s elderly neighbor. (Believe me, I’m not at all a souvenirs person and I hate shopping, but I bought so much stuff!) This is also a great opportunity to try out some amazing street food. There is so much to choose from Pad Thai to fried insects to fresh coconuts to smoothies galore. Come with a full wallet and an empty stomach. At the end of the evening relax with a street foot massage. They are dirt cheap and oh so wonderful. So much more to come on my time in Chiang Mai! Stayed tuned and subscribe!